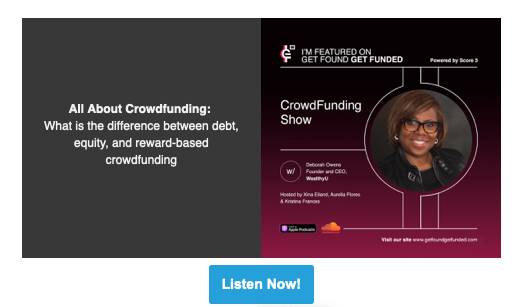 During Women's History Month, we encourage you to check out the inspirational founders on the Get Found, Get Funded podcast! Hear from Shizu Okusa, founder of Jrink and Anne Mahlum, founder of Solidcore, discuss how to scale and maintain intimacy with customers, audiences and the business team. Check out the episode "Growth: Challenges of Scaling" for more from these phenomenal female founders! 3.19: How to Start Your Food Business In D.C | Presented in Spanish by the Latino Economic Development Center, learn how to start by food business in DC with support by local government agencies. 3.19: 2019 Vinetta Project March Venture Challenge Showcase | Join Vinetta for its first Venture Challenge Showcase of 2019 where four top female founders will pitch for the $20K Venture Challenge. It'll be kicking off at 6:30 on 3/19 at Booz Allen Hamilton's Innovation Center. 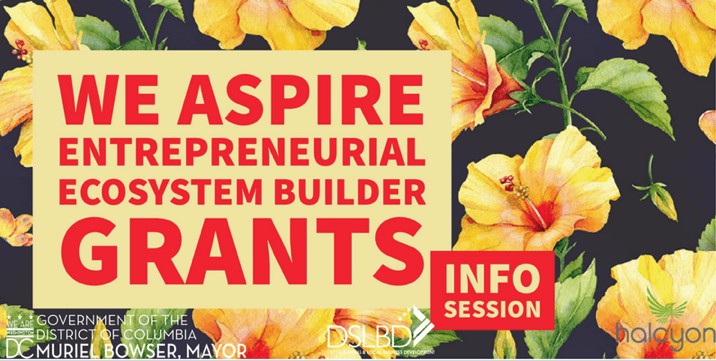 3.19: WE ASPIRE - Entrepreneurial Ecosystem Builder Grant Info Session | Meet with representatives of the Dept of Small and Local Business Development to learn more about this grant opportunity, hosted at Halcyon Arts Lab. 3.20: Strategic Planning and Marketing for a Successful Business – Sign up for the first and second sessions. 3.20: 1 Million Cups - DC | A weekly event that brings entrepreneurs and the Washington, DC community together over coffee and conversations. 3.21: WETHRIVE Women Entrepreneurs Conference | A full-day event featuring keynote speakers, panels and educational breakout sessions presented by SCORE. 3.23: SoGAL DC: Founder Networking Coffee Series | A casual breakfast networking event connecting the largest global platform connecting diverse entrepreneurs and investors totaling 100k people and 37 cities worldwide. 3.23: Women in Wine | Honor Chandon's winemaker and Clicquot's original female entrepreneur and business owner who is responsible for building the brand into what it is today. 3.28: How to Start a Business in MD | A free informational workshop providing an overview of what it takes to open a business in Maryland. Presented by the Latino Economic Development Center. 3.28: Building Brands People Love: Food Edition | Join General Assembly and The Yard DC for insight into building a profitable food business and brand. 3.21: We Thrive Women Entrepreneurs' Conference | Presented by SCORE and featuring keynotes, panel discussions and educational breakout sessions. 3.27: Small Business Toolkit from DSLBD | Capitol Hill Business Session | Learn how to use a free, centralized online portal connecting you to resources, events, agency and service provider points-of-contact, and business networking. 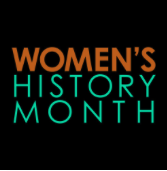 3.28-3.29: Georgetown University Women’s Forum | The second annual forum will celebrate Georgetown women from each of the nine schools through interactive workshops and networking opportunities. 3.28: #GE2019 Community Kick-Off Celebration | Join for drinks, ideas and community to learn how you can engage in Global Entrepreneurship Week 201. 3.30: Cocktails + Corporate Content | Are you ready to take your brand to the next level? Take advantage of top experts in styling, make-up, hairstyling and photography in one room for an exclusive branding photoshoot for you and your business. 4.4: Women Funding Women | A global series leveraging the expertise of investors, innovators and influencers co-hosted by Dell, the Dell Women's Entrepreneur Network (DWEN) and Springboard Enterprises. 4.6: Girls Who Start - Entrepreneurship Summit 2019 | A summit to inspire high school + middle school girls about entrepreneurship. Open to all students including college and graduate school. 4.9: SEED SPOT DC Demo Day | Join impact-driven entrepreneurs in SEED SPOT's 8-week Impact Accelerator as they pitch their business ventures to the Washington, DC startup community. 5.09 – 5.10: Circular Summit 2019 | Alice's Circular Summit is two days of action-oriented workshops, visionary talks, mentorship, and network building to accelerate growth and close the gap for diverse women entrepreneurs. Nicole Foster is the Founder of Cajou Creams - DC's first line of hand-made dairy-free ice cream made from cashew, almond and hazelnut milk. The Latino Economic Development Center (LEDC) provides loans of up to $50,000 to entrepreneurs in the DMV area. LEDC has provided millions of dollars to small business that are owned by underrepresented communities including women, minorities, immigrants and financially disadvantaged groups. They also provide free consultations to entrepreneurs, connecting them with resources they need. Join The Vinetta Project's Problem Hacking cohort! This 3-month program pairs chosen founders with seasoned executives to tackle business-critical issues. To participate, you must be a female founder building a venture-bankable company that's launched or in active Beta. You must also be in Vinetta's database. Learn more and apply. Are you interested in tech transfer (adapting technologies into commercial issues)? Fed Tech pairs entrepreneurial talent with exciting technology ready for commercialization from over 30 top R&D labs. Through the two-month Startup Studio, Fed Tech will pair you with team members and help you validate a business around a technology. It's designed to be completed alongside your "day job." Interested entrepreneurs and mentors, apply here. Join Empowered Women International for two training programs as part of Entrepreneurship Pathways for Women: 1) Entrepreneur Training for Success Program and 2) Grow My Business. The program includes expert business coaching, entrepreneurial mentoring, and financial sessions. Applications are accepted on a rolling basis and the program begins 3/26. Full scholarships are available to qualified applicants. Apply here. ALTS Capital Online Business Accelerator: Dedicate to Financing for Startup and Early Stage Businesses | An intensive six-week online program designed to prepare businesses to be capital ready. Apply here. Founder Gym | An online program training underrepresented founders on how to raise money to scale their tech startups. FG Graduates are equipped with the knowledge, network, and know-how to successfully raise their first rounds of funding. Apply here. FHI Ventures’ Social Enterprise Facilitator | A social enterprise accelerator supporting early stage businesses with the potential for high impact and a commitment to delivering social and financial returns. Don't forget to check out funding opportunities by the Government of the District of Columbia. 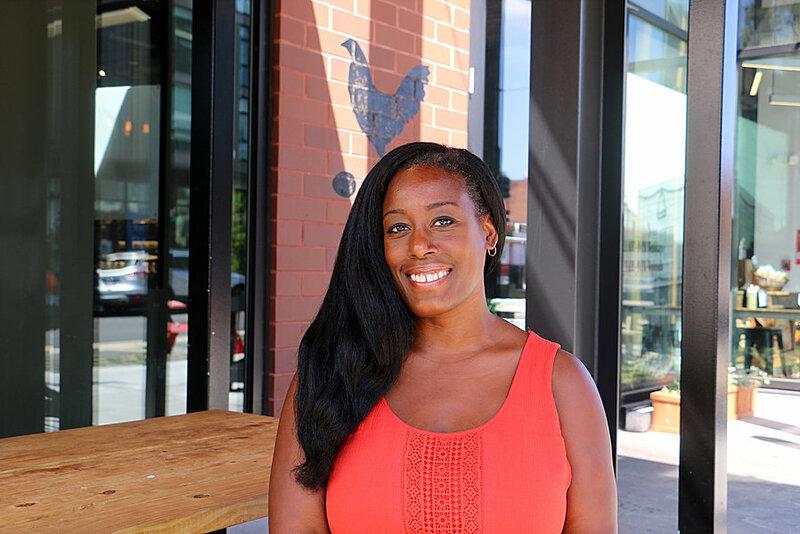 EnrichHER is seeking supporters to spread the word about funding opportunities for women-led business. Help 500 women-led business get funding by joining their Ambassador Squad Program or their Alliance Affiliate Program to spread this important message. Volunteers Needed @ The Latino Economic Development Center as guest speakers during entrepreneurial classes. Share your personal experience, talk about failure, learned lessons, and how to create success as a mentor. To learn more, contact Alexandra Boycheck at aboycheck@ledcmetro.org. Intern Needed @ The Office of Women’s Business Ownership (Small Business Administration) to work on Business Process Improvement to help automate and streamline work flow processes. For more information, contact Kathy McShane, Assistant Administrator, at kathleen.mcshane@sba.gov or 202-205-6663. The DC Commission on the Arts and Humanities (CAH) is seeking panelists to review and evaluate nominations for the Mayor's Arts Awards and Larry Neal Writers' Awards. For more information and to submit an application, click here. Pipeline Angels Announces 2019 Spring Angel Investing Bootcamps | Pipeline Angels aims at creating capital for women and non-binary femme social entrepreneurs. Join them!